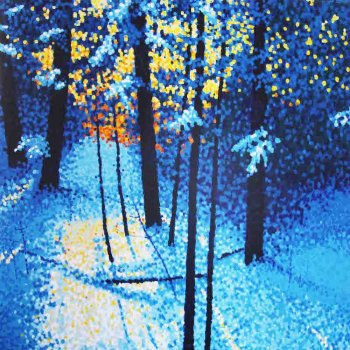 Alberta artist Jim Pescott paints with dots! His dot paintings, are one of a kind and unique! 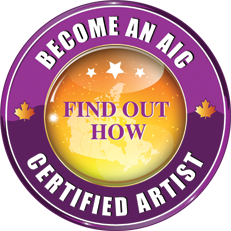 He paints Alberta landscape, trees, animals, portraits, and does paint commissioned art. He left a successful corporate career after thirty years to follow a deep inner passion for landscapes and natural light that now, twenty years later, are the basis for the sanctuary images he paints. He lives and creates his art in Alberta, Canada. His art work has exhibited in many international locations including Cannes, France, Florence, Italy, Rio de Janario, New York City, and Monaco, as well as a number of times at the Carrousel du Louvre in Paris, France. In 2013, Jim Pescott received medal award recognition from France’s national Academie Arts-Sciences-Lettres. 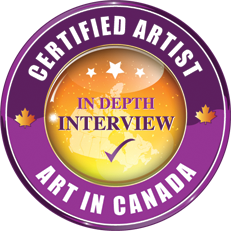 And ArtTour International Magazine recognized Jim as a “master pointillist”. Many of Jim’s clients refer to him as a gift to the world: his paintings and style mean that much to them. Many more describe Jim as an amazing artist who knows the touch of light to make you feel you can actually walk through his paintings. Jim brings a unique perspective to the landscapes where we live: they describe relaxing places that nourish our soul’s quest for calm and peace.